The collective created by disciplined feedback is far superior to individuals at emerging reality. Its Knowledge is greater. However, even top organizations rarely exploit over 30% of their Collective Ability. Uniting effort, aligning volition, emerging reality and striking home has driven success since ancient times. Yet the domain is marked by absence of reliable means to create an intellectually constructive collective, engage volition, emerge the reality, and progress innovation. Even today the effective pursuit of success by organizations is looked upon as an esoteric art and has few practitioners. McKinsey studies (1) have established the primacy of Knowledge interactions for work in the 21st century and absence of means to manage Knowledge exchange for superior performance. 70 percent of all US jobs created since 1998 require judgment and experience. These jobs now make up 41 percent of the labor market in the United States. Recent studies—including landmark research McKinsey conducted in 1997—show that specialization, globalization, and technology are making interactions far more pervasive in developed economies. The pace of change, globalization, work volumes, specialization and information overload has raised the chaos of interactions in daily operations rendering coordination difficult. Teamwork and understanding are prejudiced. Perhaps the resultant pressure of untamed interactions is equally pernicious (see 'Creating a common language to unite stakeholders'). It dampens the volition to engage in interactions. The complexity, diversity and capriciousness of the human mind, and its reluctance to share Knowledge freely have made voluntary alignment of effort and the volition to apply Knowledge for collective goals very rare. In addition, humans have a strong unconscious tendency to color interpretation of events with their experiences. Superimposed on this, comfort zones progress wishful thinking. The interpretations and thinking bias decision making (see ‘Change from within is a citadel that must be stormed – from within’). With interactions a burden or out of control, the leadership is denied means to keep abreast for guiding and mentoring its flock. It gets either disconnected or becomes dependent on compliance through hierarchical access or command and control directives to learn the ground situation. They make for poor listening and inspiration, and alienate Knowledge workers. Alternatives exist but require either talent or a culture that is rare. Changes by the leadership to take advantage of technology for improving communication with personnel can cause severe dislocation as happened with Xerox a few years ago. Following the high potential for poor coordination, fragmented vision, weak volition, biased or wishful thinking and alienated leadership it is common for teams to function at less than 10% of their combined potential. Even the best organizations rarely exceed 30% of their potential (my estimates based on findings of Marcus Buckingham (2): only 25% personnel are committed, 50% sit on the fence and 25% work against the interests of the organization; and Jerry Collins (3): the best organizations beat market performance by an average of 7 times). Further, Buckingham’s data shows Collective Ability varies widely across the organization. Peter Drucker noted (4) in 1992 that productivity or Collective Ability of the Knowledge worker in developed countries has, for all practical purposes, stagnated during the twentieth century while that in the manufacturing sector has grown forty five fold due to the advent of the Assembly Line. Though valiantly sought during and after the Age of Deming (1950-1993) the means to raise the Collective Ability of decision-makers has yet to be conceived. It automatically unites the effort (time, energy and thrust) of the multiple riders (team) constructively behind the leader. They follow the direction pursued with far greater efficiency and speed. The volition of the team is concentrated on a single activity – pedaling. Tom Davenport, known as the pioneer of Knowledge Management, has reported a study (5) by Calgon Carbon that concluded a 10% rise in trust and teamwork can lead to a 30% rise in the performance within two years. This may not be the norm but it does indicate the possible and establishes Trust and Teamwork as the cornerstone of greater Collective Ability. The deep relationship between trust and teamwork and performance is exhibited by the study of corporate practices named "Freedom-Based Management" attached to his excellent hack on “Overcoming the management hierarchical control mindset—the key to re-inventing management and resolving 20 moonshots”(6) by Bill Nobles. Organizations like Hewlett Packard, WalMart, South Western Airlines, and Nucor, produced excellent results by progressing a strategy to establish a culture for Freedom and accessibility. They had faith that Freedom, trust and teamwork were strong natural desires of personnel that only needed encouragement and organization to emerge and flourish. It follows that Collective Ability is an intrinsic quality that follows from the exchange of knowledge. It encompasses Trust and Teamwork, and is a natural product of Coordination, Freedom and accessibility. A corollary would be that it is jeopardized by Command and Control and endangered by chaos. Drucker, agitated by the problem of raising Knowledge work productivity, stated (8) in 1992: “…In Knowledge and service work partnership with the responsible worker is the only way; nothing else will work at all.” He, in effect, articulated the conventional wisdom that governs the conduct of modern Management. The IT industry has submitted to it and is focused on creating superior tools for Knowledge work. The belief that superior Trust & Teamwork demands Managements drive a culture for self-organization and self-motivation to share Knowledge and adopt IT tools is today universal. Valiant efforts over the last decade reveal that under normal conditions busy administrators lack the will, time and energy to sustain such a culture. Modern Management has emptied its arsenal to get a distributed Collective, composed of busy Managers, to consistently expend effort for coordinating its actions, regularly spare time for aligning its thinking, and learn to learn as a team. Collaboration or simple sharing of Knowledge, though often initiated with enthusiasm, has rarely succeeded perhaps because it is disconnected with learning. Its use of language is linear (see Hack: Creating a common language to unite stakeholders) and it does not assure Feedback, which is essential for learning (see Hack: Achieving the ends of Knowledge with feedback). It relies upon incentives to overcome insecurity, cultural restraints, empty talk, false analogies, etc., for adoption. Pfeffer & Sutton (9) have argued that incentives for sharing Knowledge or Collaboration are prone to the ‘smart talk trap’. Drucker has noted (10) that the colonial system of administration in India delivered efficient administration supported by paper systems. He concluded its strength was a culture for Dialogue. Driven by norms of teamwork evolved over centuries, its means for managing Knowledge interactions, mentoring, and free flow of Knowledge stands overwhelmed by the pace of change and paper’s inability to cope with work volumes and geographical distribution. Pure technology sought to reproduce the way of working but failed to achieve adoption: personnel, rendered pre-occupied by their prime priority to deliver results, neglect to spare the time and energy for the necessary self-organization. Personnel also lack the motivation to overcome their inhibitions for driving the flow of Knowledge. Lastly, personnel resent the considerable disruption of their work caused by conventional use of IT for Knowledge work without delivery of commensurate benefits. Personnel energy to organize and drive Knowledge flow cannot be relied on unless great pains are taken to organize and motivate it. The energy is also suspect because of its inherent biases. Incentives have proven to be counter-productive. Powering a means for Dialogue by an inexhaustible energy source that can reliably replace personnel will deliver the desired quantum jump in Collective Ability. My Hack: Compelling Energy for a quantum jump in organization performance with the same resources. presents my conversion of IT from a tool to 'intelligent energy' for organizing and driving the delivery of Dialogue in daily operations. (2) Buckingham Marcus. (August, 2001). Marcus Buckingham thinks your boss has an attitude problem. Fast Company, Issue 49. http://www.fastcompany.com/online/49/buckingham.html (Accessed July 01, 2010). (3) Collins, J. (2001). Interview: Good questions, great answers. Fast Company.Com. http://www.fastcompany.com/magazine/51/goodtogreat.html (Accessed July 01, 2010). (4) Drucker Peter, F. (1992). ‘The new productivity challenge’, in Drucker, P. F. , Managing For The Future: The 1990s And Beyond: 79-95. Oxford: Butterworth-Heinemann Ltd.
http://www.accenture.com/Global/Research_and_Insights/Outlook/By_Alphabet/TheArtOfWork.htm (Accessed July 01, 2010). (6) Nobles, Bill. (2010). Overcoming the management hierarchical control mindset—the key to re-inventing management and resolving 20 moonshots. http://www.managementexchange.com/hack/overcoming-management-hierarchical-control-mindset%E2%80%94-key-re-inventing-management-and-resolvin (Accessed September 1, 2010). (8) Drucker Peter, F. (1992). ‘The new productivity challenge’, in Drucker, P. F. , Managing For The Future: The 1990s And Beyond: 79-95. Oxford: Butterworth-Heinemann Ltd.
(9) Pfeffer, J. and Sutton, R. (January 15, 2000). The Knowing-Doing Gap: How Smart Companies Turn Knowledge Into Action. Harvard Business School Press. (10) Drucker Peter, F. (1988). ‘Coming of the new organization’. Harvard Business Review, January-February, 1988. This Barrier gets invested with considerable meaning post your hack on the 'ignorant Diagnosis'. The tandem cycle is an excellent illustration of the Knowledge Collective while the 'Ignorant Diagnosis' hack informs the meeaning of a Collective - the creation of Feedback. I can now see your contributions stated in the Materials section coming together to form a whole. I was about to say there is something missing in terms of actual results and transformation achieved. But then I remembered the results you have reported in your 'Disbelief' Story. Still, perhaps the picture will only be complete with actual transformation on the enterprise scale. You have stated that you are looking for an opportunity to prove a pilot. Wish you the best for an enterprise roll out. 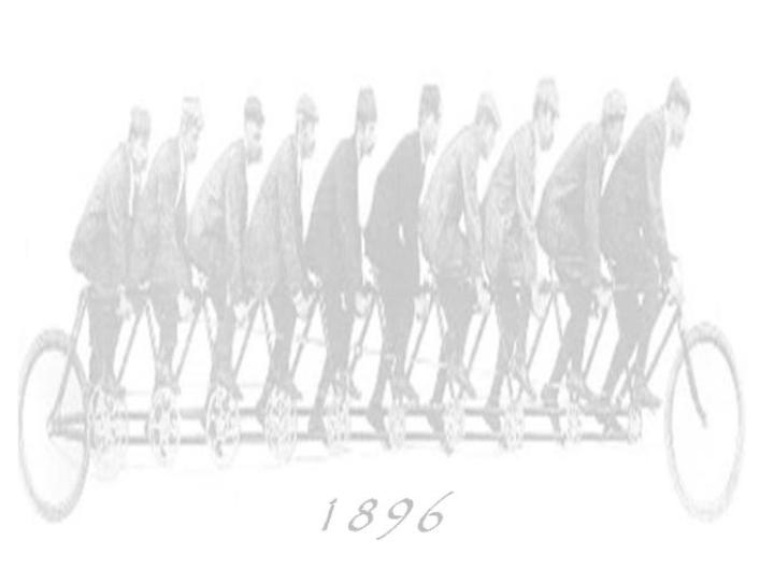 I think all CEOs should have images of this tandem cycle in the board room. It is expressive. Demonstrates the power of getting from here to there as a united group. I agree with the analysis of why it is rare and the thinking of what can be done about it. However, I note that the consideration of Power was missing. Most of the games played are driven by Power. We have been so taken up by Knowledge that we have not spared a thought for what we are trying to achieve. I think this is a key barrier: it defines just why the flows are important. The tandem cycle says it all. I think of it every time I am assailed by doubts on my direction to clear my head. Feedback has meaning because it creates the collective and gives them direction. Interaction growth is dangerous because it destroys the collective.